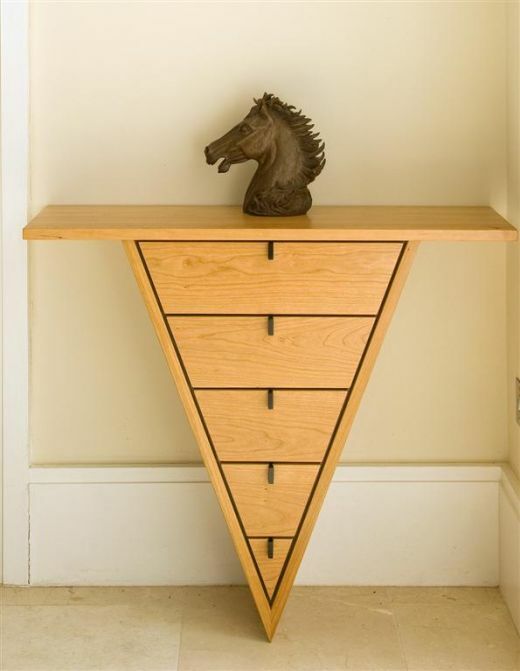 Sonra Cóir is a hall cabinet designed to be suspended from the wall. The triangular shape gives this piece a unique balanced appearance. 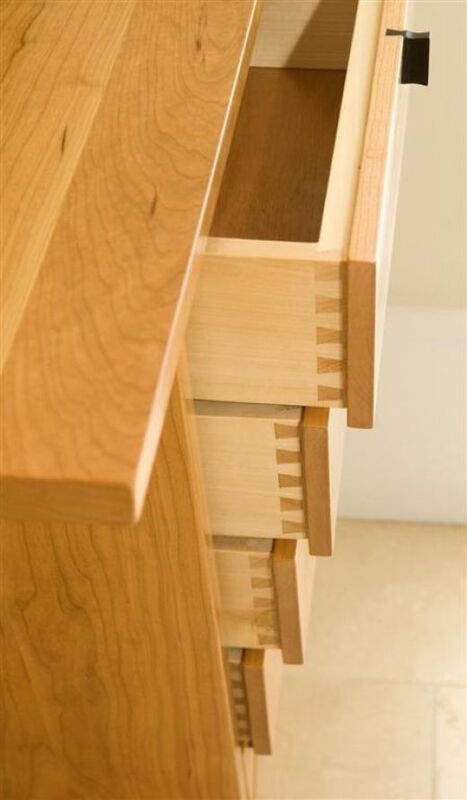 Each drawer is dovetailed and sliding on traditional timber slides. The shadow line detail around each drawer front highlights the sharp linear lines. 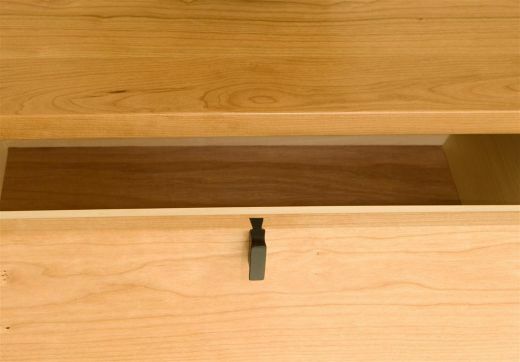 The handles for the drawers are made from ebony with a slight curve on either side for your fingers to grip. They are then attached to the drawers with a hand cut sliding dovetail. The subtle details in this piece, gives it the unique and distinctive aesthetics. It’s made from European Cherry with a Walnut Frame and Ebony Handles.